The MB1 mechanical bolt is the ideal addition to non-contact safety switches and safety locking devices from SICK. 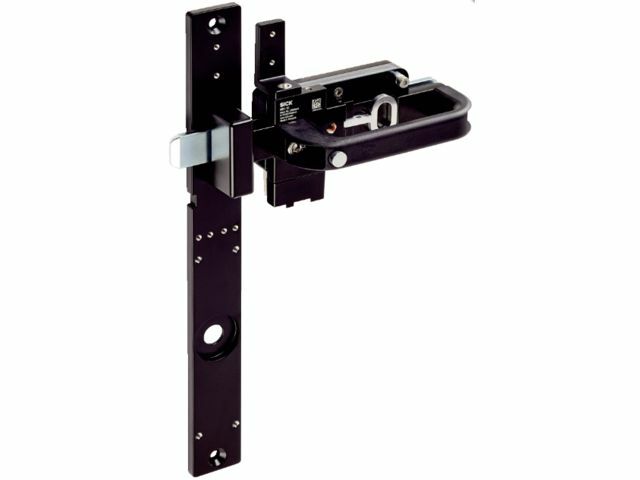 Precise guiding of the actuator increases the tolerance to door offset and ensures correct functioning of an installed safety switch at all times. In addition, a mechanical bolt effectively prevents actuator breakage. The fault exclusion realized in this way enables a high performance level for the overall structure. Additional options such as a mechanical lock with padlock receptacle lock or an emergency release reliably protect maintenance staff from accidental entrapment.